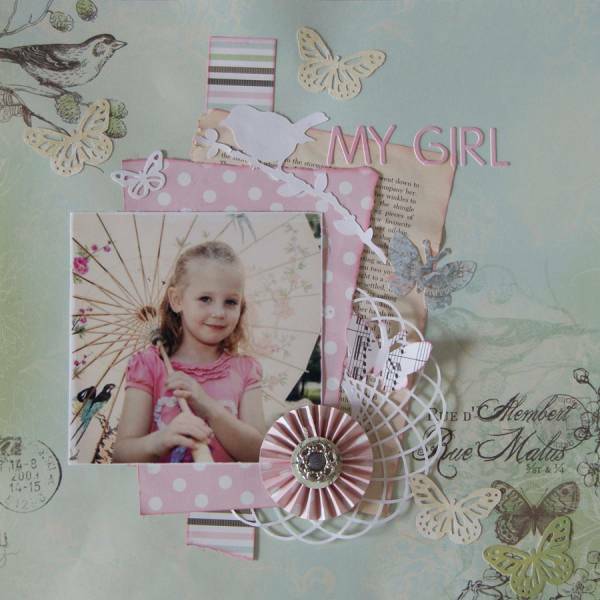 Song title-My Girl, book paper behind pink pp, music on butterfly, metal button on rosette. What a sweet LO! So soft and feminine. Gorgeous! This is such a sweet page Marion. All the elements go so well together. So soft and so delicate, love it!! This is exquisite, Marion, and I really love your diecut elements. Love the layers and the softness of the butterflies and birds. Amazing Marion! I love the pastel colours and your die cuts are perfect.